Search Engines: How Does Your Mobile Device Know What Info to Give You? | ASTRALCOM - Content Strategy, Conversion Marketing and Customer Acquisition. When you ask Siri (iPhone) or ask Iris (Android) to search for something, where do they search? You’re probably already coming to the conclusion that they must use a search engine of some sort, from which to query and retrieve results. You’re right because Bing and Google indeed play a central role with Siri and with Iris. Currently, Google pays Apple for the privilege to be the default search engine on Safari and Bing pays Apple for the privilege to be the default search engine on Siri. Android’s Iris uses Google’s search engine. In turn, each of these search engines then utilizes local listing and 3rd party aggregator sites to generate their search engine query results. You might be asking why any of this matters. Because there are more searches done via mobile devices than via desktop, it pays to know the mechanics of mobile search for SEO purposes and for content marketing. Especially if you’re a location-based business, mobile search is critical to your success. So, if your audience is searching for pizza, fishing bait, baby clothes, homes for sale, healthcare providers, or just about anything, they are increasingly doing it from their mobile devices. Also, since it looks like Google is going to split their mobile and their desktop searches, it would be wise to ensure that your brand has a local search presence. Therefore, by knowing which search engines power which portals, devices, and websites – and how local search works – you can increase your chances of reaching more of your buying audience, more consistently. That’s where LocaliZer from ASTRALCOM comes in. Yes, you can grow your business by reaching more local customers, more consistently. 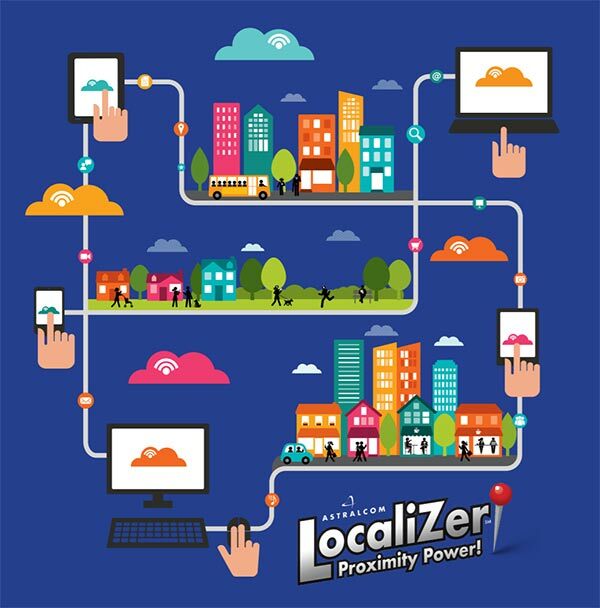 Click or call us and we’ll put LocaliZer to work for you!